Peak Nut Brown Ale (4.7%): This is the third expression I will review from Peak Organic. The Portland brewery describes their brew as an English style brown ale on their website. I have to say Nut Brown Ale is a tempting name for a beer. Look: Clear chestnut brown color with a fair amount of slow settling off-white head. Pretty good start. 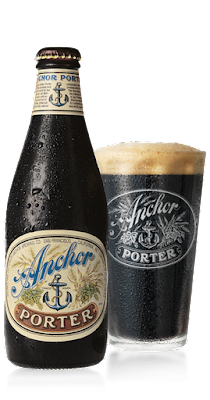 Nose: Sweet lightly roasted malt, milk chocolate, dry leaves and roasted hazelnut at the beginning. Then it takes a sharp sudden turn to rotten molasses and medlar. Also some old leather couch and soapy aromas. Very odd... Palate: Very thin texture, almost like watered down. Quite a carbonation in the glass which actually I am not a big fan of. Roasted chestnut shells and bread crust. Very faint charred wood notes. Overall: It's a very crisp and vibrant autumn beer maybe but I couldn't find anything too exciting about it. 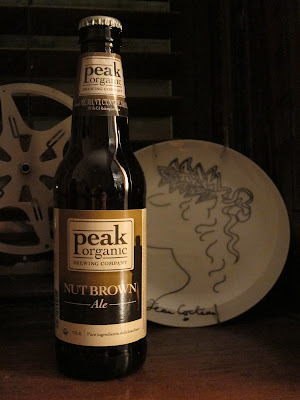 Definitely not my favorite from Peak Organic line-up but it is an easygoing, light and balanced beer. It is a little too thin for my taste but could pair good with spicy Indian, Thai or Middle-Eastern food.